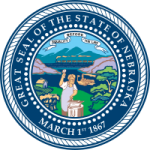 The Nebraska Child Support Laws provide guidelines for implementing a child support order in Nebraska. The guidelines take into account the income of both parents as well as allowable deductions. In addition, the guidelines take into account child care, health care and education expenses. All of these factors are taken into consideration when determining how much a parent should be required to pay to financially support his child.